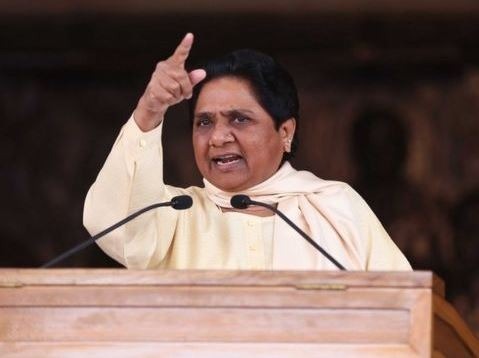 Former Uttar Pradesh Chief Minister and Bahujan Samaj Party (BSP) chief Mayawati has decided not to contest the upcoming Lok Sabha polls. Mayawati who was very confident of a win said in a press conference in Lucknow said that the “current political situation” does not permit her to contest elections. “I know I can win from any seat. All that I have to do is to file my nomination and my party workers will take care of the rest. We have a strong alliance with RLD and SP to defeat BJP. It is more important for us to win more seats than for me to win one. I had earlier resigned from Rajya Sabha to keep our movement alive, but keeping in mind the current political situation, I have decided not to contest the Lok Sabha elections,” Mayawati said at the press meet. Recently, Samajwadi Party chief Akhilesh Yadav and Jana Sena chief Pawan Kalyan endorsed Mayawati as a suitable Prime Minister candidate. Mayawati will now focus on strengthening her party throughout the country. In 2014 general elections Mayawati’s party contested in 503 off 543 Lok Sabha seat, and grabbed a 5 percent vote share, however failed to convert any to seats.